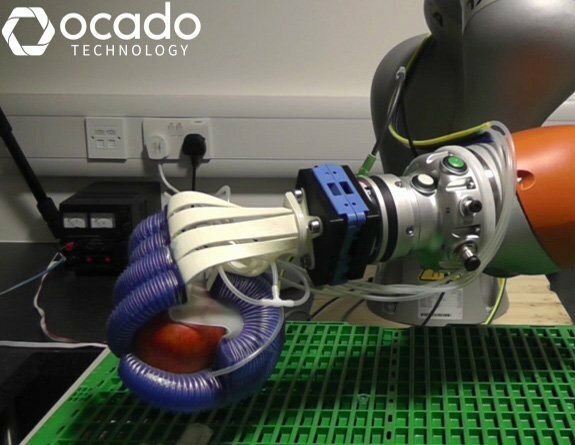 The robotics team at Ocado Technology has been developing a robotic arm capable of selecting, carefully picking up and moving small grocery items in warehouses. Capable of working with over 48,000 of the smaller items available on the Ocado platform, the arm was developed to eliminate some of the challenges faced by warehouse grocery picking such as items being susceptible to damage. Using a principal called environmental constraint exploitation the robotic arm can avoid damaging objects by responding to their specific shape as well as the space around them. The arm was developed in collaboration with Technische Universität Berlin as part of the European Union-funded SoMa project. 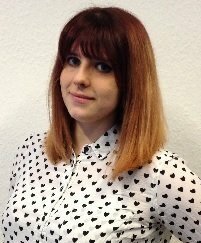 As an online digital business which relies on efficiency in the warehouse to offer the best customer experience, Ocado has to ensure the best technology possible is fitted in its warehouses - innovations such as robotics, automation and artificial intelligence (AI) are increasingly being used behind the scenes as part of the retail supply chain. Graham Deacon, robotics research team leader at Ocado Technology said: "The RBO Hand 2 designed by the Technische Universität Berlin offers a versatile, cost-effective and safe solution for robotic grasping and manipulation that integrates very well with Ocado's highly-automated warehouse retail solutions." Yes, even and Fiat Chrysler, it seems they are testing self-driven car.